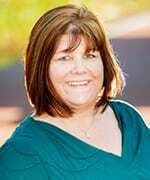 Sherri Mercer has more than 15 years experience in financial and operational management. She is responsible for managing the office and the company’s financial operations, including monthly, quarterly and annual accounting. She also oversees the firm’s property management programs and accounting services. Prior to joining MacRo in 2011, Sherri was vice president of operations for a privately held real estate acquisitions, development and residential construction company for 10 years where she managed the financial and operational aspects of the company as well as that of 25 separate holding companies, each with multiple projects and investors. Sherri, a life-long resident of Maryland, lives in Frederick County. She has two children and six grandchildren. To contact Sherri, call 301-698-9696 x206 or email sherri@macroltd.com.